Peatland fires have blazed across Indonesia for over 20 years. Key drivers for these fires include land clearance in order to plant palm oil and trees for pulp and paper products by companies as well as smallholders. Impacts of the fires and haze directly affect the environment, business and daily life of people in the surrounding region. The haze caused by the peatland fires in 2015 from June to October caused Indonesia to economic lose of USD 16 billion in damage to agriculture, forestry, transport and tourism. Indonesia contains approximately 22 million hectares of peatland, which is approximately 5% of the global peatland area. Peatlands cover around 3% of the globe, but store one-third of the total global soil carbon. At present, Indonesian peatland stores 132 gigaton of CO2. In comparison, the world’s largest rainforest, the Amazon, is storing 168 gigaton of CO2. (Norway Factsheet, 2012). Tropical peat swamp forests represent a unique ecosystem comprising interdependent biotic and abiotic components. Any change to the natural balance between water, soil and vegetation will result in Green House Gas emissions and also impact negatively upon neighboring mineral soils and river systems including farmland and centres of aquaculture. In 2014 President Jokowi laid out his priority agenda, Nawa Cita which also integrated ongoing reforms for more efficient, transparent and accountable government. Nawa Cita incorporates the use of programs such as REDD+ to play a role in alleviating rural poverty, enabling development, emphasizing good governance and anti-corruption as keys to improve forest and peatland management. The integration of REDD+ into the new Directorate General of Climate Change consolidated efforts to reduce carbon emissions due to degradation of forest and peatlands among other activities within the Ministry of Environment and Forestry. Intended Nationally Determined Contribution (INDC) of Indonesia needs to be implemented by related stakeholders (government, private sector, university, civil society organization) in accordance with 5 Key Elements of the Paris Agreement: 1) long term goal to achieve a net zero emission, 2) every 5 years countries strengthen climate action, 3) enhanced transparency to ensure commitments are met, 4) adaptation is a central pillar to help world’s most vulnerable, 5) climate finance to support developing countries. Based on the Government’s plan to restore up to 2 million hectares of peatland and support the attempts of sustainable peatland management (protection, rehabilitation, and utilization), the Peatlands Restoration Agency has been preparing a concept of Desa Peduli Gambut (Caring-for-Peat Village) that will be implemented at village level. Desa Peduli Gambut is an integrated approach of participatory rural development that seeks to promote sustainable peat management and sustainable livelihood of the community. This approach covers the management of various participatory development activities at the village level and integrating these into rural development planning. Various activities can be conducted within the framework of Desa Peduli Gambut, such as community village mapping, community based forest fire mitigation, canal blocking, land rehabilitation, development of alternative sources of livelihood, empowering indigenous people, revitalization of local wisdom, and integrate these activities into in the village planning (Rural Medium Term Development Plan/RJMDes, Annual Village Plan /RKP Des, and Village Budgeting/APBDes). In supporting the implementation of peatland conservation and restoration at community and village level, through financial support that will be provided by Norwegian Government, Kemitraan cooperates with BRG in implementing Desa Peduli Gambut in 7 priority provinces. In ensuring an effective project implementation, Kemitraan will manage a project management unit at national level, supported by staffs based in Jakarta and Provinces. Under the guidance and direct supervision of National Project Manager for Desa Peduli Gambut (DPG), Project Officer will provide oversight on the assigned project location(s) and is primarily responsible for coordination of project related activities. S/He will be responsible for coordinating the overall project planning, implementation, monitoring of progress, facilitation of requirements to secure project progress, synergize activities across the relevant staff and experts within the project, coordination and relationship building with key stakeholders, including relevant national and local governments, within the specifically assigned project location(s) to her/him. DPG Project Officer will work closely with the DPG National Project Manager, Program Manager for Sustainable Environment Governance (SEG), Monitoring, Evaluation and Learning Manager, Monitoring, Evaluation and Learning Officer, Provincial Coordinators, Field Officers, Community Facilitators, Admin & Procurement Officer, Finance & Grant Officers, Project Finance and Administration Assistants, Grantees, Consultants /Experts and Advisors, Government institutions (BRG, MoEF, Local governments), The Royal Norwegian Embassy, and other staffs within Kemitraan’s office. The Project Officer (PO) is responsible for quality implementation of the project and for leading and supervising the project activities carried out and being implemented at the specific assigned location(s) to her/him. The PO also supervises timely submission of all requested project outputs, consolidates, and analyses monitoring and evaluation results. Leads project implementation, and supervises the quality of the project´s activities and outputs carried out and being implemented at the specific assigned location(s) (in close cooperation with Provincial Coordinators, Field Officers, Monitoring, Evaluation, and Learning unit, Admin & Procurement Officer, Finance & Grant Officers, Project, Finance and Admin Assistants, and Component Leaders). Prepares all the project related reports. Prepares and implements the work plan together with the team. Coordinates and carries out project related activities. Assisting DPG National Project Manager in daily operational work of the project. Reports to DPG National Project Manager about the progress of the project implementation. Ensures that all administrative, procurement, and financial tasks are done in time (together with Admin & Procurement Officer, Finance & Grant Officers, Project, Finance and Admin Assistants). Ensures that project related documents are archived in accordance with the project’s requirements. Carries out needs and capacity assessment jointly with DPG Monitoring, Evaluation, and Learning unit. In collaboration with DPG Monitoring, Evaluation, and Learning unit, elaborates and assures that monitoring is conducted according to the framework. Assures that the indicators and obligations towards BRG’s and Donor’s related to the projects are fulfilled. Assures that direct project costs are being spent in accordance with the budget. Develop and deliver semester reports of Project and Financial management. Maintain responsible media coverage of program events in coordination with DPG National Project Manager and Communication & Stakeholders Relation Expert. Provides necessary capacity building in administrative and procedural requirements. Supervise the Provincial Coordinators, Field Officers, and Community Facilitators. Ensure project compliance with Kemitraan’s policies and procedures. Prepares and supervises contractual matters related to the project (in cooperation with Project, Finance and Admin Assistants, HR and Operational unit in Kemitraan). Successful and more substantively accountable program implementation. Good communication and facilitation to key stakeholders that led to Kemitraan perceived as trusted working partner. 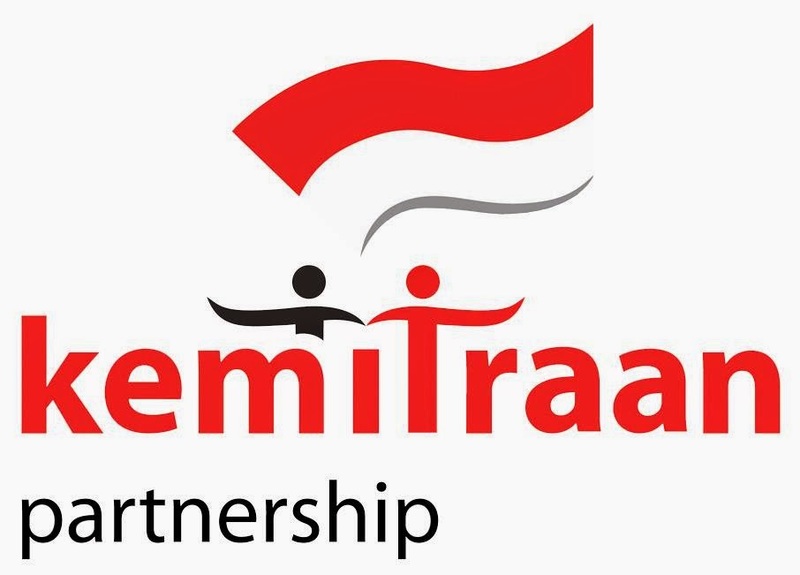 Opportunities for developing and implementing longer term governance programmes under the cooperation between Kemitraan, related government institutions, and UNOPS. Plan, prioritize, and deliver tasks on time. Participate effectively in team based, information-sharing environment, collaborating and cooperating with others. Sets clear performance goals and standards; execute responsibilities accordingly. Capacity and ability to initiate (when required) and maintain relationship with necessary stakeholders at the national, local, and grass-root level. Plan and produce quality result to meet established goals. Contribute creative, practical ideas and approaches to deal with challenging situations. Minimum a Bachelor degree in a related field to forestry, agricultural, social sciences or related educational area with a good knowledge on forestry and environment, peatland; having a good knowledge regarding forest and peatland management, climate change, village governance and development issues in general; clear commitment to the governance reform. Please send your CV and application letter to recruitment@kemitraan.or.id. Only shortlisted candidates will receive a response from our Human Resources Unit. Applications must be received by April 2, 2019.